Definition at line 30 of file itkSumInputFunction.h. Reimplemented from itk::Statistics::InputFunctionBase< TMeasurementVector, ScalarType >. Definition at line 38 of file itkSumInputFunction.h. Definition at line 40 of file itkInputFunctionBase.h. 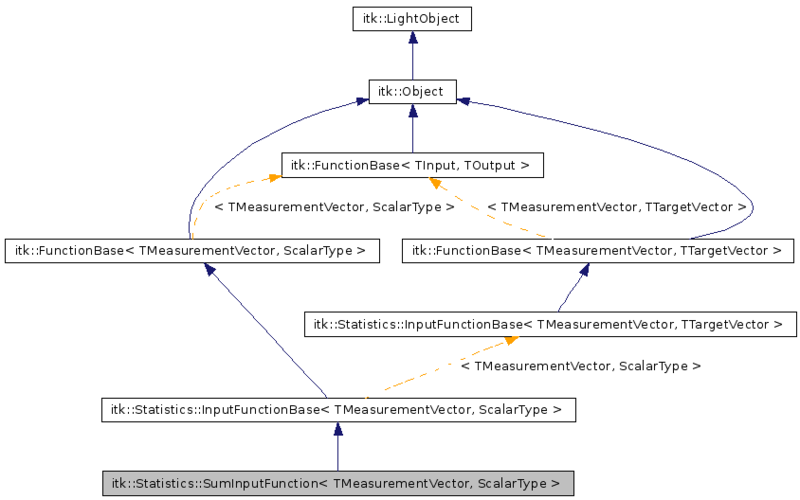 Reimplemented from itk::FunctionBase< TMeasurementVector, ScalarType >. Definition at line 46 of file itkInputFunctionBase.h. Definition at line 37 of file itkSumInputFunction.h. Definition at line 35 of file itkSumInputFunction.h. Definition at line 36 of file itkSumInputFunction.h. 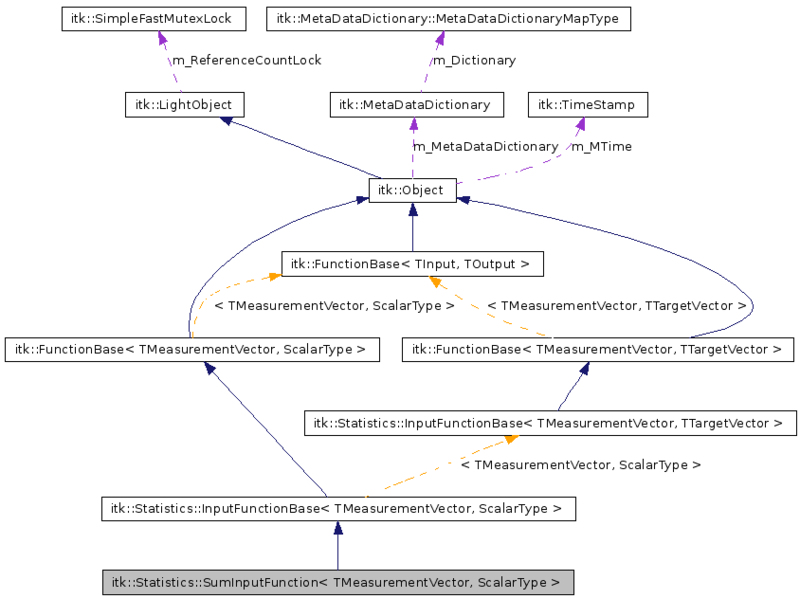 Implements itk::Statistics::InputFunctionBase< TMeasurementVector, ScalarType >. Definition at line 56 of file itkSumInputFunction.h.